Opening hours: Most shops are open 7 days a week. Generally on weekdays they open from 9am to 5pm and on weekends from 10am to 3pm. Darwin is a young city with a young and vibrant population, and it is famously packed with young travelers during the dry season. Outdoor living is the norm and outdoor activities and adventures are the main attractions, with breathtaking natural parks in close proximity. Central Darwin is compact and easily explored on foot, although the suburbs are more spread out. The exhibits at the Indo-Pacific Marine are unique in that they are entirely self-sustaining, requiring no feeding, filtration or water-changing. The aquarium displays the beauty of different marine environments and wildlife, including living coral, clown fish and the lethal box jellyfish. Covering almost 20,000 square kilometres, Kakadu National Park is Australia's largest terrestrial national park, an awe-inspiring expanse of rugged natural beauty and fascinating ecological and biological diversity. It is also a place of important cultural heritage, as the Bininj Mungguy people have called this area home for thousands of years. 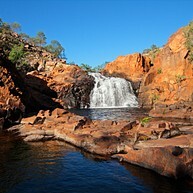 Litchfield National Park is a stunning expanse of lush woodlands and crystal-clear freshwater creeks, waterfalls and swimming holes, where many come to escape the oppressive heat of the summer months. Especially impressive are the enormous termite mounds found throughout the park, as well as the Lost City, an area with rock formations of bizarre beauty. 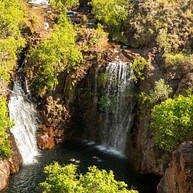 World-famous Katherine Gorge is located in Nitmiluk National Park, just to the south of Kakadu. 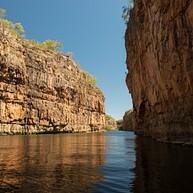 The 12-kilometre length of the gorge, surrounded by its 70-metre tall cliffs on either side, is an impressive sight, best enjoyed in a rented kayak from water-level. Museum & Art Gallery of the Northern Territory, or MAGNT, is Darwin's premier cultural organisation, showcasing fantastic exhibits and research programs, including maritime and natural history, aboriginal art and a room where you can experience the power of Hurricane Tracy, as well as regular events and performances. Epitomising outdoor living, this is a very popular rendezvous for families. 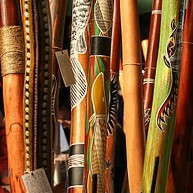 There are usually 200 stalls selling aboriginal arts and crafts along with musicians and entertainers. It is also a great place to sample a wide range of food from 60 different food stalls including Thai, Malay, Indonesian, Chinese, Indian, and Greek. Other markets can be found at Parap (Saturday morning), Rapid Creek (Sunday) and Nightcliff (Sunday). For some rugged outdoor adventure, try fishing for Barramundi, Australia’s most popular game fish. There are countless companies offering diverse types of fishing trips, Fish the Top End being one of the best. 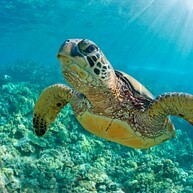 This travel agency offers a wide selection of river and ocean charter fishing. 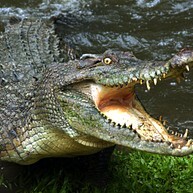 Crocodylus Park offers a close-up look at one of the world's most feared predators, boasting five croc species, including the Philippine Corocodile, the rarest in the world. Croc feeding demonstrations take place daily, and there is also small zoo displaying some Australian animals, like kangaroos and dingos, as well as lions, tigers, monkeys, and more. 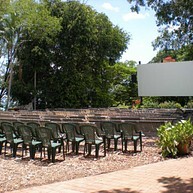 Loved equally by visitors and locals, Deckchair Cinema screens a wide range of films in its lovely outdoor location, right by the waterfront. Movies range from arthouse and independent to family-friendly films. Showings start at 6pm every day from April to November. Every day at high tide for the past 60 years a unique occurrence has taken place: hundreds of fish gather at the shallows by Doctors Gully Road in search for a meal, including milkfish, bream catfish and the barramundi. 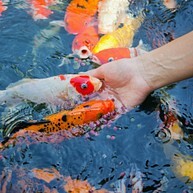 Aquascene gives visitors the chance to get up close and personal with the fish, splash around with them and hand-feed them. This aboriginal-owned and run shop, workshop and art gallery is about half an hour by car down the Arnhem Highway from Darwin. Exquisite examples of this fascinating handmade aboriginal instrument are for sale, and can be seen in the production process. There is also authentic aboriginal artwork on display, making great souvenirs and gifts. Take part in an extraordinary cultural adventure where you can view unique termite mounds and explore fascinating waterfalls. Outback and Aboriginal Culture Tours spacialises in guided tours of Litchfield National Park and its stunning natural surroundings, led by their knowledgeable head guide, Tess. 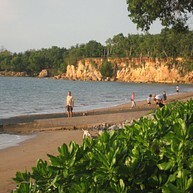 A mere 5 minutes from the city centre, Fannie Bay is a suburb of Darwin with a ton of activities to offer. There is a small but lovely beach with barbecue facilities and playgrounds, an artificial lake safe for swimming all year, bike trails and a walking path through the mangrove, and the interesting Fannie Bay Gaol Museum. Another of Darwin's northern suburbs, Casuarina is home to the largest shopping centre in the Northern Territory, Casuarina Square, with over 180 businesses, supermarkets, department stores and a cinema. It is a major weekend gathering point for shopping and eating. Cullen Bay is the home of Darwin’s first Marina and is surrounded by trendy restaurants and cafés. It is the place to to go to catch a harbour cruise, book fishing charters or dive tours in search of marine life and wrecks. 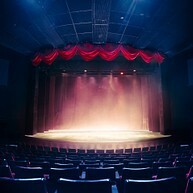 Brown's Mart is a beloved and iconic theatre and performance space, committed to providing opportunities for local artists to show their craft. Regular performances are held in a building which dates back to 1885 and has since filled many roles until becoming the cultural centre it is today.